We have parking on location for our clients. Each studio comes with one free parking space. Please ask for a parking number/spot upon arrival to our studio. 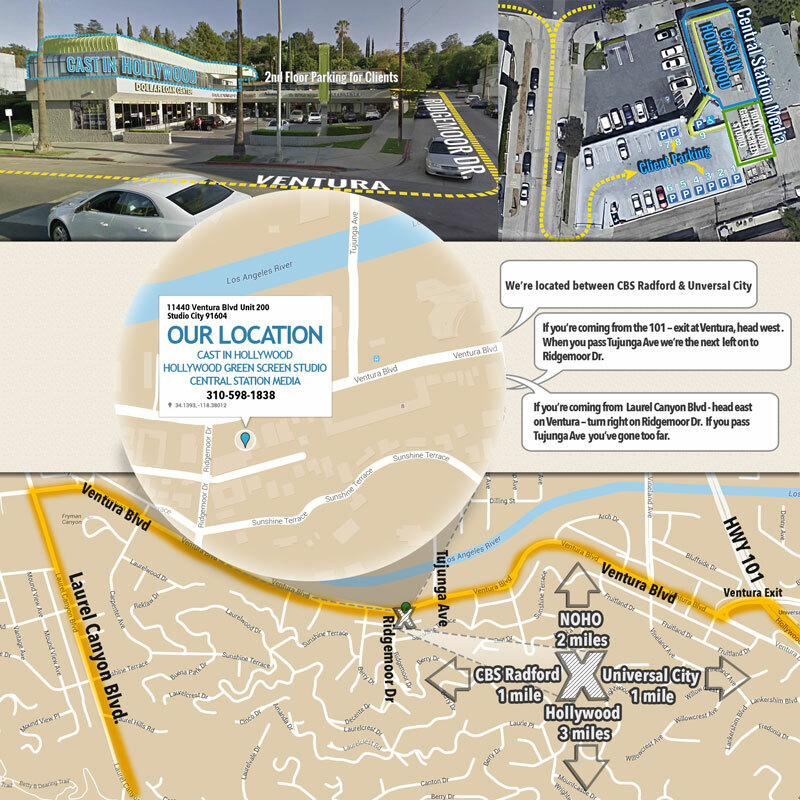 There is additional free, all day parking nearby our studio and at the mall just down the road. 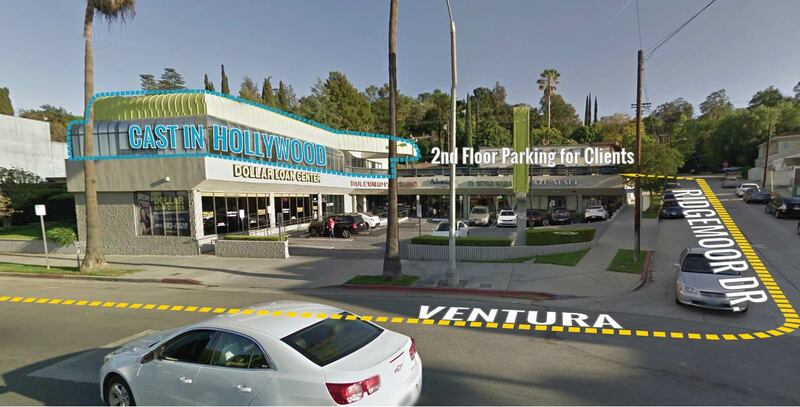 (Ventura Blvd has free parking on Sundays). 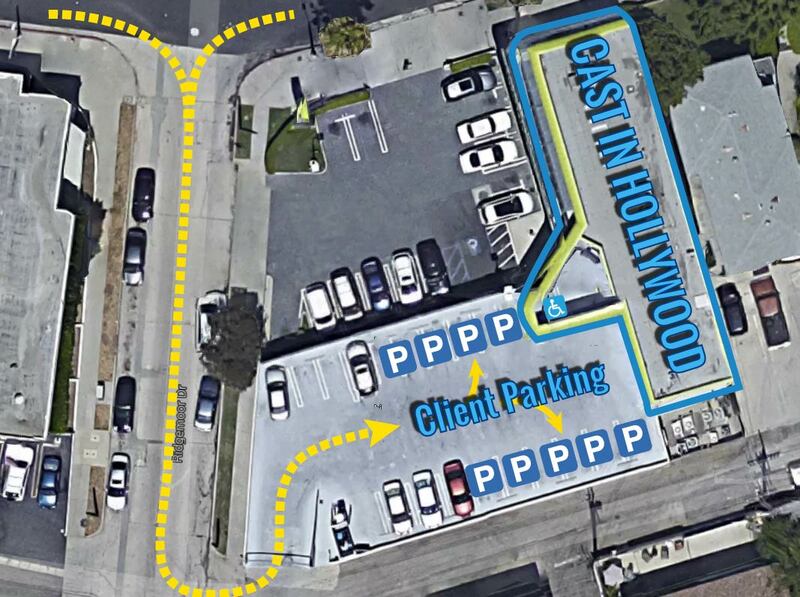 Actors coming to auditions must find street parking. There is plenty of free and metered parking in the area. 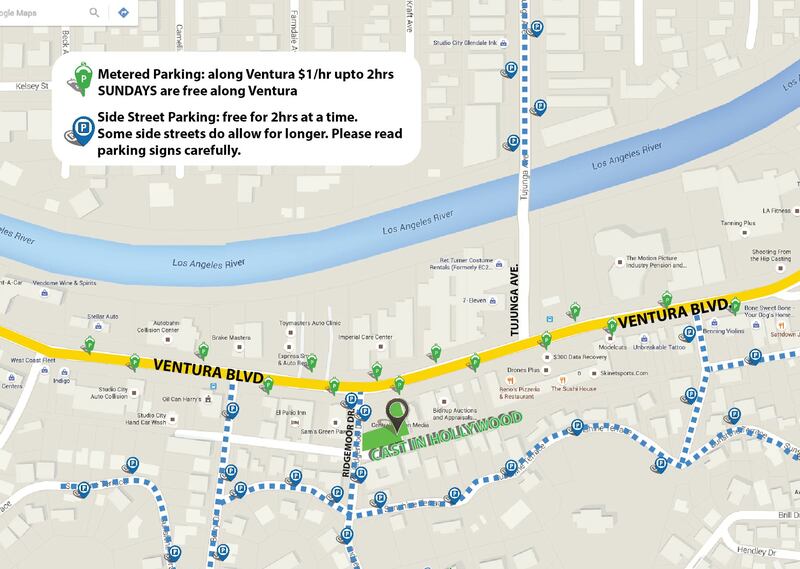 Metered parking can be found along Ventura. The rate is $1 per hour for up to 2hrs at a time. There is also side street parking in the neighborhood behind/around our location. Some areas have a 2-hr parking limit, while others allows you to park all day. Please read parking signs carefully.